Earn some major brownie points with the women in your life, both big and small. 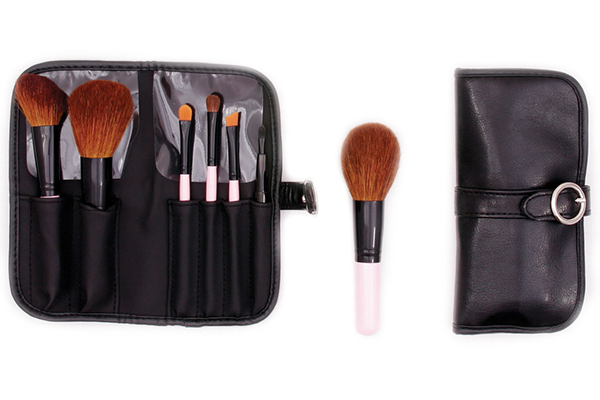 With prices ranging from $10 to $50, these brush sets are perfectly thoughtful gift ideas for moms, daughters, friends, coworkers and Secret Santas alike. 282 Duo Fibre Shader Brush. Alone the Duo Fibre Brush is $42. Use the 187 Duo Fibre Brush with cream or liquid foundation for a porcelain, airbrushed look. Lightly dip bristles in and spot on over your face. Blend using little cirle strokes. Re-dip for buildable coverage. 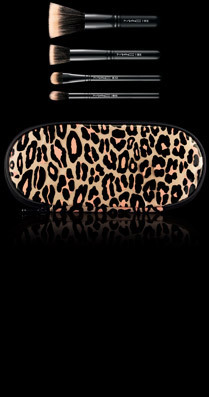 This brush works with liquid airbrush foundation as well. Get it at Crown Brush. 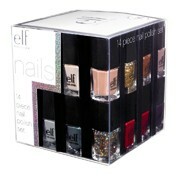 Because everything is better rhinestoned, featured to the right is Elf Cosmetics 11-pc Ultimate Gem Collection for $25. 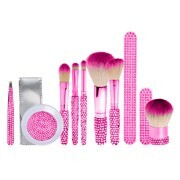 I don't know a teenager or little princess who wouldn't love to be gifted this set. It's also available in pink, purple, or teal blue. The tools a girl uses are super-important for mastering makeup application. Train her well; She'll think you're awesome and her friends will, too. Looks juicy this week, eh? Oh, the rumors were correct! 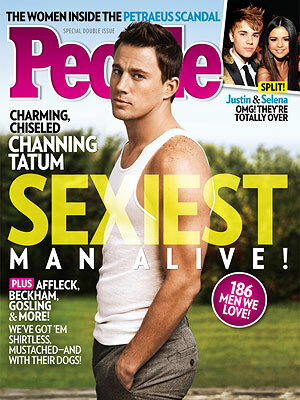 Channing Tatum is officially People Magazine's Sexiest Man Alive. in such gems as the TV shows Parenthood or Punk'd, the movies Employee of the Month, Baby Mama, Hit and Run, and most importantly he's married to one hot Kristen Bell. Confirming her pregnancy and showing off her baby bump is what this pretty lady has been up to lately. See the baby bump pics here. Congrats and welcome to the Parent Club! rumors are swirling that People Mag's Sexiest Man Alive 2013 will go to none other than Magic Mike, errr I mean Channing Tatum. People Mag will not confirm or deny reports as they are to make the official announcement next week. Read more about 2013's sexiest contenders here. Enjoy. Finally, allow me to introduce Justin Bieber's blow up doll. Sure, Halloween is finished for this year. I foresee plenty of pervy Halloween costumes next year regarding this blown-up wonder. Good luck finding one, though. They're selling out like hot cakes. Do you prefer your Bieber to sing? Or be clothed? Click here to watch his new video, Beauty and a Beat. For some reason, he always puts me in a good mood. No, not that way. Not good enough to take out my Just-in Beaver. Your minds are in the gutter. Really.